The NZTA wriggled and struggled and fought, but eventually they had to bow to the will of Board on Inquiry Chair Judge Whiting and produce visual mockups of what a flyover would look like imposed on Mt Victoria and the Basin Reserve area. 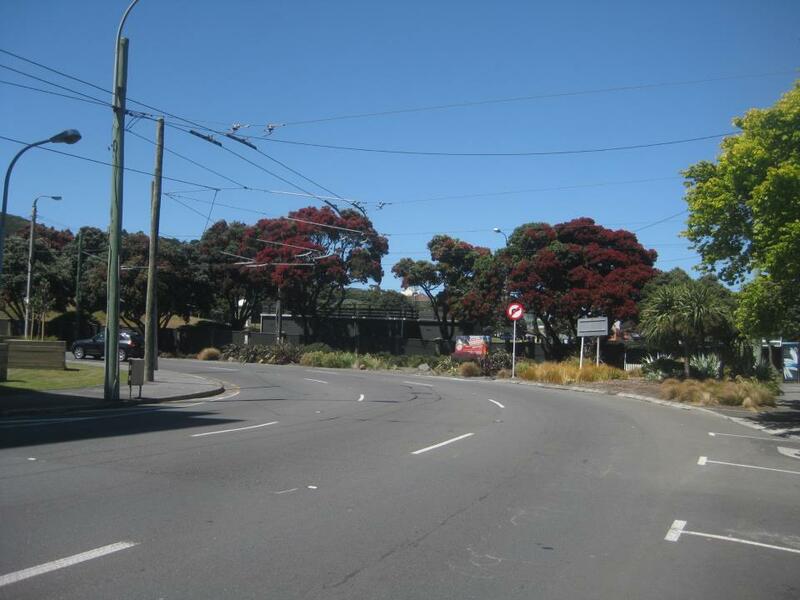 This article contrasts before and after views of Mt Victoria with and without the proposed flyover. It shows how the flyover will cut across Wellington both physically and visually, severing communities and destroying iconic views. And for what? For nothing more than a monument to NZTA”s and the Government’s outdated transport thinking in an era when vehicle use is declining. Contact us at stoptheflyover@gmail.com to learn more. Donate to help our legal and publicity campaigns. Buy a Save the Basin T-shirt. The following is an excerpt written by Grant Robertson for the November 2013 edition of the Mt Victoria Newsletter. Residents in Mt Cook, Mt Victoria, Newtown and the whole Wellington area are justifiably concerned about the Basin Reserve flyover. The final decision to build a flyover at the Basin Reserve is currently with the Environmental Protection Authority (EPA), but the government and New Zealand Transport Agency (NZTA) seem determined to pursue spending $90 million despite 83% of submitters opposing it. Both Annette King, MP for Rongotai, and I oppose the Basin flyover. It is a bad idea and not an answer to the frustration some people feel about traffic congestion at this one location in Wellington. NZTA appears to be following the instructions of the government that has no smart solutions for improving the way people and freight move around New Zealand. The EPA is requiring that anyone who submitted attend meetings with the NZTA to “resolve concerns”, even if they noted in their submission that they don’t wish to be heard in person. The significance of these meetings on the final decision is unknown because they have never before happened in a Board of Inquiry process. The Board of Inquiry will begin the hearings on 22 January* and the decision is due by May 2014. Labour has promised that we will do whatever we can to stop the flyover, and support a transportation system within and around Wellington that is efficient, promotes public transport, and helps protect our environment. My electorate office telephone is 801 8079 and I am always happy to hear your comments on this or any other issue affecting the Mt Victoria community. *The Board of Inquiry’s latest indicative timetable shows the hearings beginning on Monday 27 January. Ex-Wellingtonian Nina Arron is a planner with a passion for Pedestrian Oriented Development who now lives in New Rochelle, New York. This means that she is in a great position to observe the gap between traffic modellers’ predictions and modern transport reality – the reality that traffic volumes are declining. It seems that NZTA are not the only transport planners who are unable to see this reality. Nina has compiled a series of examples, from the US, Canada and Australia, of instances in which traffic planners’ faith in their outdated and inadequate models has led to costly transport failures. NZTA – and the Government ministers behind the $12 billion “Roads of National Significance” scheme – are willing slaves to their models of endless traffic growth, unable to see the evidence of declining vehicle volumes that is in front of their eyes. That’s why it’s great to have someone like Nina to point it out to them. That’s because we’re a community organisation pitted against a lavishly-funded Government agency that can afford to pay top dollar to secure the services of lawyers, consultants and expert witnesses. We make up some of the gap through volunteer work done by already busy people – but we need money too. And if you want this nonsensical, retrograde, ugly flyover stopped, then we need your help. Incidentally, when we were in Stockholm – my buddy shattered his arm one night doing something silly, and we had to get a låna pengar direkt to get him fixed up. We’d love to acknowledge your support, so please email us at stoptheflyover@gmail.com and tell us the details of your donation.